While the U.S. and Russia continue to disagree about possible violations of the INF Treaty, the Northern Fleet test-fires two of the sea-based supersonic Kalibr cruise missiles. On Thursday, the press-service of the Northern Fleet informs about a 700 kilometer flight pattern by a Kalibr cruise missile launched from the frigate «Admiral Gorshkov» from a combat training area north of the Kola Peninsula. The missile successfully hit its target at the Chizha shooting range at Cap Kanin on the northern coast of the Arkhangelsk region. 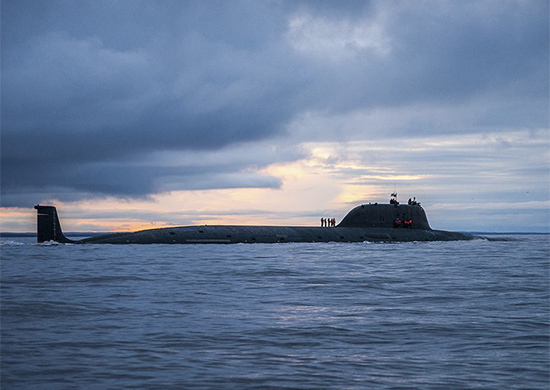 Earlier this week, the Northern Fleet could tell a similar story as a Kalibr cruise missile was launched from «Severodvinsk» - the first in service of the 4th generation nuclear-powered multi-purpose submarines of the Yasen-class. The sea-based version of the Kalibr is designed to combat enemy surface warships, submarines or targets on shore. The missile was actively used during the 2015 Syrian war when launched from both surface warships in the Caspian Sea and from submarines in the Mediterranean. Due to its long range, Russian submarines no longer have to sail south of the so-called Greenland-Iceland-UK Gap to launch missiles that could reach targets in Western Europe. With a range of more than 2,000 kilometers, targets all over Scandinavia could be hit from launches taking place in the Barents Sea, just outside the homeports of the Northern Fleet’s submarines. A 2017 analyses by Jane’s names the updated version of Kalibr cruise missile as a «game changer» and even suggest the missiles «bring strategic effect». Washington D.C. claims Russia is violating the INF Treaty by producing and testing a ground-launched cruise missile with longer than the 500 kilometers allowed under the treaty once signed by Michael Gorbatchev and Ronald Reagan. Allegedly, the ground-based cruise missile in dispute is in the same family as the sea-based Kalibr. Russia’s Northern Fleet is arming most of its modern frigates, missile-cruiser and new multi-purpose submarines with the upgraded version of Kalibr. Within the next few years, a serie of seven submarines of the Yasen-class, including the «Severodvinsk» will be put into service. Also, five more frigate similar to «Admiral Gorshkov» are either under construction or ordered and will be added to the navy.